I felt pretty light on my feet today, probably because I switched up my eating routine today. Lately, days where I reach 10,000 steps have been few and far between. However, I feel like I'm finding my footing again with my workouts and daily goals in general. Ups and downs are inevitable no matter what you choose to dedicate yourself to and no matter how much you may love it. Depending on the type of exercise I do, I don't always enjoy the act of exercising. However, I love the benefits and one of the benefits is a natural high. I feel good about life and about myself when I purposely, properly move. My mood improves and I am able to think clearer. 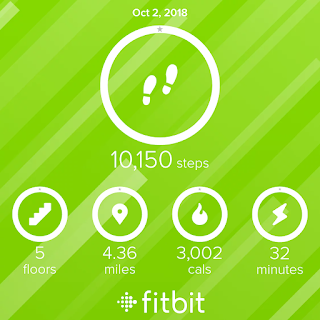 For a few weeks I focused more on yoga and slow movements, but that wasn't any reason not to hit my minimum step goal of 7,000 steps a day. Ten thousand steps was a lot harder to reach than I had initially thought when I first got my tracker a year ago. Now I can knock that out easily if only I'd get up and focus. There have been several times when I easily exceeded that. I guess my mood these past few weeks has been more melancholy, the reasons for that could be a series of posts on their own. The point: No matter how good something may make me feel, sometimes, no matter how much pre-workout I drink or the fact that I know it'll do me good, mental blocks can be strong as hell. 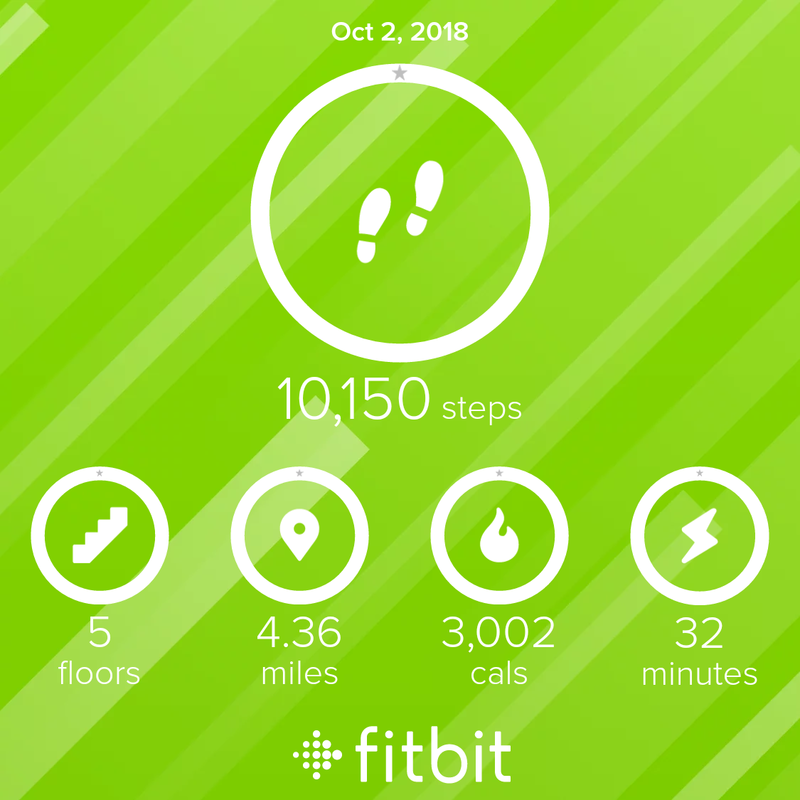 It's been a few weeks since I hit 10,000 steps in one day. I'm celebrating this small victory. Follow me on Instagram @Fit2BeMyself.